Jacob Gmeindl grew up around Capital Paving, as his father John has worked for the company for over 35 years. Jacob officially started his role in 2005 and since then has developed into his role as an Autonomous Integration Specialist. Jacob is responsible for overseeing Capital’s new technology and more specifically our GPS. Over the years, Jacob has seen Capital recognize the need to adapt to new technology or else be left behind by the industry. Although being the very first to adapt to the new and changing technology comes with risk, Jacob says that Capital is now achieving a good balance between incorporating new technology to boost productivity and minimizing risk. 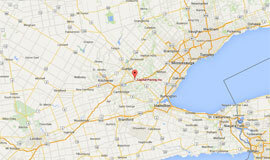 Incorporating the new technology, including GPS has made many aspects of each individual job much easier. Layouts are now available on site instead of calling in a third party every time, grade checking all day long is now in the past, machines can follow designs with far less guidance and when revisions are made on a job site, Capital can now update the field data instantly. Jacob says without it, Capital would find it increasingly more difficult to compete with other construction companies and with the speed that technology is improving it is so important to stay current and competitive. Learning how to use the Topcon GPS equipment was fairly easy to Jacob after years spent as a grademan. The skills he learned such as reading plans and grade checking flowed very well into the software side. Jacob says he is excited to see Capital continue to grow with the new technology. 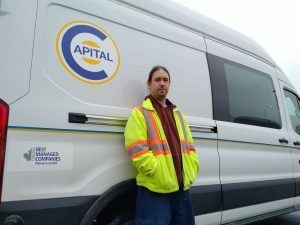 He says there is always more technology to be added to Capital’s impressive resume including the stringless curb machine, GPS enabled milling and paving operations, automation of pit operations and GPS real time tracking of our brokers. Jacob says with the advancements of technology, it will be possible one day to not risk peoples' lives in road construction. This will be made possible by automation and robotics. New opportunities are being created for those who are willing and able to pursue them and he is happy to be part of the push towards a better future. 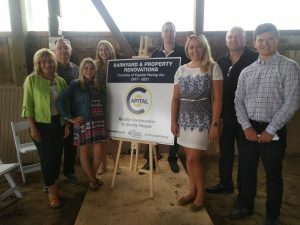 Capital Becomes Major Sponsor for Sunrise Therapeutic Riding & Learning Centre in Puslinch, Ontario. On June 4, 2017, at Sunrise Therapeutic’s (www.sunrise-therapeutic.ca) annual Celebrate Sunrise event, Capital was announced as a major sponsor for the facility. Sunrise’s mission is “to develop the full potential of children and adults with special needs and lead them closer to independence through a therapy, recreation, horse riding, life skills, and farm related activity program”. At the event, Capital employees were able to meet some of the amazing children that attend the program, to better understand how Sunrise is making their lives better. This year, Molly Burke (www.mollyburkeofficial.com) was made an honorary director of the facility. Molly gave an inspirational speech on the challenges she faced growing up with a disability, including bullying, loss of friendships, loss of soccer; on top of the challenges of losing her sight. There was not a dry eye as everyone tried to understand how a child could face challenges with such bravery and what Sunrise meant to her. She is now an adult and accomplishing great things.read more..